The Blackburn Outpost Front Rack offers great versatility and optimal storage capability with its lightweight 6061 aluminum tubing. Featuring the Blackburn Universal Fit System, this rack will fit bikes with 26", 29", or 700C wheels, and is also disc brake compatible. 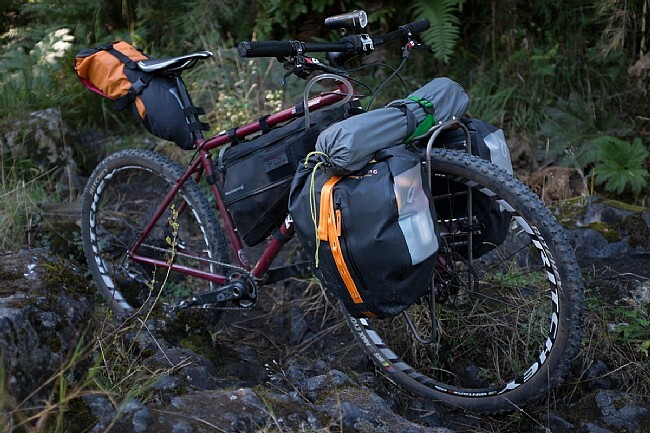 With high and low mounts for panniers as well as a removable top rack for additional storage, this modular rack allows for ample storage on long multi-day epics, or paired down storage on a quick overnight trip. 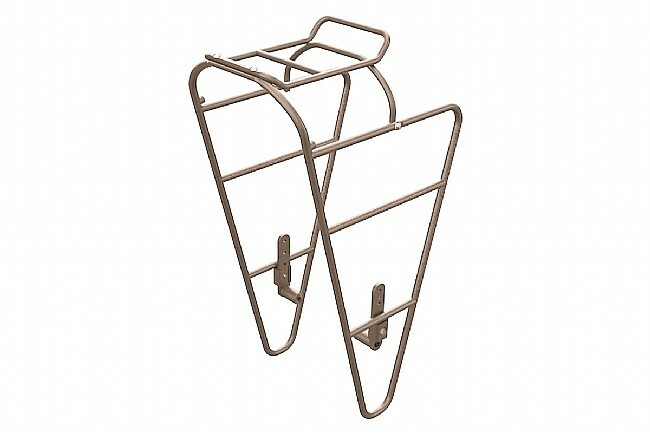 The Blackburn Oupost Front Rack will support 45 pounds of weight. Bought this rack for a coast to coast tour, held up like a champ! I ran into a stile in Wisconsin, then a power pole in Green Bay, Then my sister in New Hampshire ( that one was the least violent of all the crashes). Super rugged, the lower eyelet mount got a little bent but the rest of the frame stayed true. Very solid, my bags didn't rattle much at all and I had them loaded to the gills. I had a gallon can of stove fuel in the front for the entire trip. Also happened to be in the bag that took all the impacts. Yes, I am a genius. Highly recommend this rack. Great rack, that unlike most front options can mount to just about any bike. I only have eyelets on the end of my fork, so this was key. It isn't very light, but for touring and grocery-getting this isn't a priority. I haven't tried to take off the top portion yet, though the option to is nice. Highly recommend for anyone looking to carry more than your rear rack can already handle. When it arrived, it was in pieces... apparently came apart during shipping... Can't say for sure whether it was poorly packed, the carrier was careless, whether a design flaw (or perhaps a little bit of all these things). The rack is fastened together at the top. It took some strength and patience to get it reconnected, and the connection joint doesn't seem very precise (to me suggesting the manufacturing may be a bit shoddy). Design-wise it's a really COOL rack, and I am hopeful it will stand up to a decent amount of abuse... but it makes me wonder... and will keep and eye on it.. I'll have to post another review after a few months' worth of use.